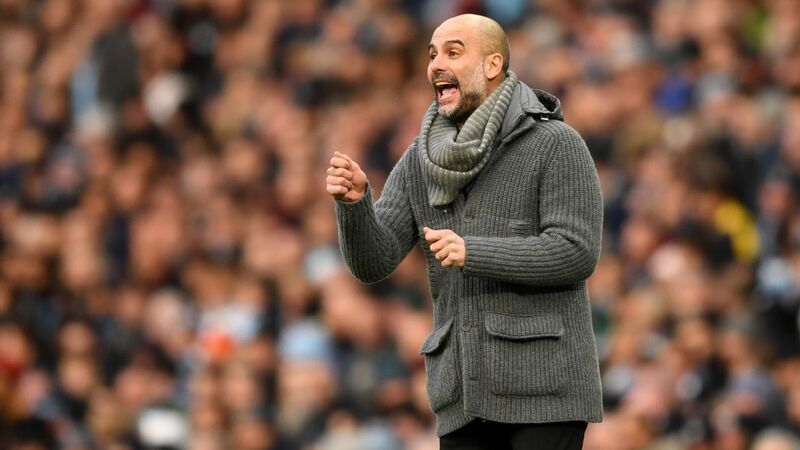 MANCHESTER, England — Pep Guardiola believes Manchester City are matching the hunger of his great Barcelona teams after moving back top of the Premier League. City beat top-six rivals Chelsea 6-0 to leapfrog above Liverpool in a tricky week when they also beat Arsenal and won away at Everton. Guardiola is aiming to become the first manager in more than a decade to win back-to-back Premier League titles and has challenged his side to replicate the desire of his old club that won three La Liga titles and two Champions Leagues during his time there. “The desire to want to do the best is incredible and similar [to that at Barca],” Guardiola told a news conference. City face a crunch period, with the Champions League restarting on Feb. 20 against Schalke, the Carabao Cup final against Chelsea as well as their Premier League battle with Liverpool and Tottenham. They have taken nine points from three difficult games to maintain the pressure on Liverpool, but Guardiola insisted they must be more consistent to hit their very best form. The Argentinian could have even had more — hitting the crossbar and missing a golden opportunity from two yards early on that had his manager on his knees in frustration. “[I told him] nice goals. I think he got Alan Shearer’s record,” Guardiola said. “I don’t know [what happened] it sometimes happens but important to get the next one so I’m very happy,” the striker said.